This year, Huawei has launched the Huawei P20, Huawei P20 Pro, and the Huawei P20 Lite. Huawei’s subsidiary Honor has launched the Honor View 10 as well as the Honor 10. Recently, Honor also launched the Honor Play — a HiSilicon Kirin 970-powered smartphone with GPU Turbo tech, as well the Honor 9i. Now, the Huawei Nova 3 has appeared on TENAA. 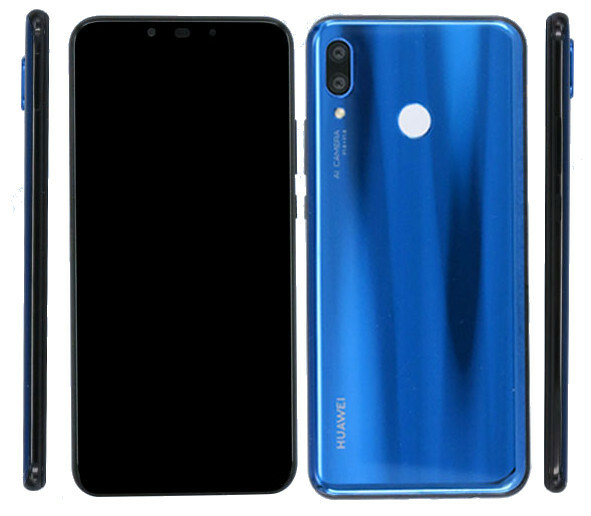 The TENAA listing of the Huawei Nova 3 with model numbers PAR-TL00 and PAR-AL00 reveals most of the phone’s specifications. The phone will be powered by a 2.36GHz octa-core processor, likely to be the HiSilicon Kirin 970. This is HiSilicon’s current flagship SoC, and it consists of four Arm Cortex-A73 cores paired with four Arm Cortex-A53 cores, along with the Mali-G72MP12 GPU. The Kirin 970 also has a Neural Processing Unit (NPU) and an i7 co-processor. The Nova 3 will likely have support for GPU Turbo as well. The phone will have 6GB of RAM paired with 64GB/128GB of storage. It will have also a microSD card that supports up to 256GB expandable storage. The Nova 3 will have a 6.3-inch Full HD+ (2340×1080) 19.5:9 LCD with a display notch and 2.5D curved glass. It will have dual rear cameras, consisting of a 16MP primary (RGB) camera paired with a 24MP (likely to be monochrome) camera with f/2.4 aperture. It will have dual cameras on the front as well, with a 24MP front-facing camera paired with a secondary 2MP camera. The Huawei Nova 3’s fingerprint sensor will be placed on the back. It will have a hybrid dual SIM slot (nano SIM + nano SIM/microSD). In terms of connectivity, it will have dual 4G VoLTE, Wi-Fi 802.11ac (2.4GHz/5GHz), Bluetooth 4.2 LE, GPS, and a USB Type-C port. It will be powered by a 3650mAh battery with fast charging support, and it will run EMUI 8 on top of Android 8.1 Oreo. Its dimensions are 157.0 x 73.7 x 7.3 mm, and it weighs 165 grams. The Nova 3 is expected to be announced on July 18th, and it will be made available in Black and Blue colors. Its pricing is rumored to start from CNY 2699 ($404).